Mehreen Jabbar's Dil Kiya Karey is a treat for Feroze Khan fans! Are you a Feroze Khan fan? And I mean not just a fan for his looks but his acting also? A fan who’s been hoping that he appears in a role where he is not a villain or a psycho but a traditional, romantic hero? Well then, your wish might have just come true with “Dil Kiya Karey”! 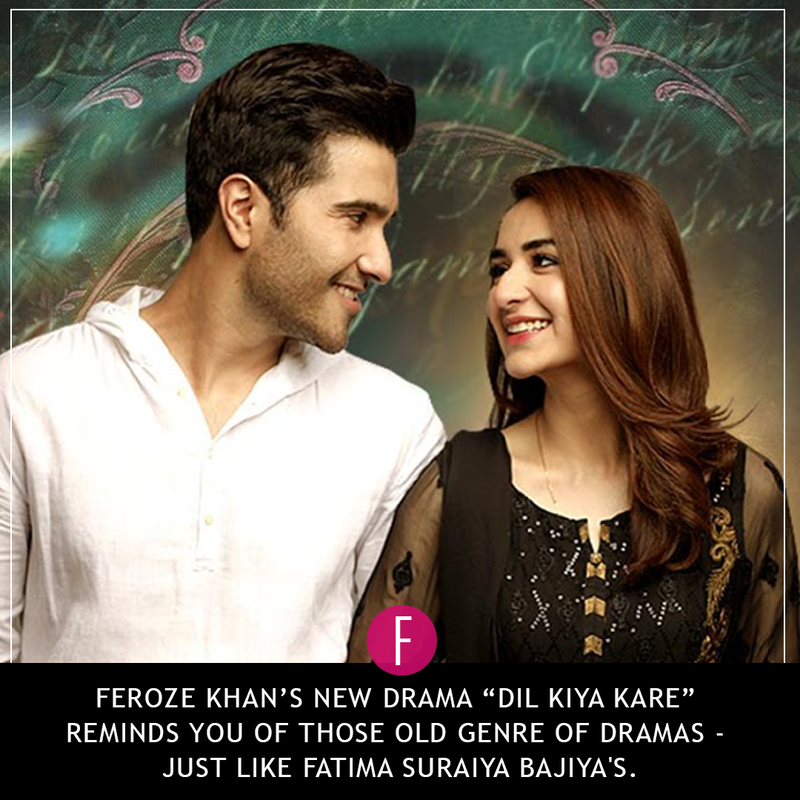 Feroze Khan’s new drama “Dil Kiya Karey” reminds you of those old genre of dramas – just like Fatima Suraiya Bajiya’s … where there is romance, family drama and an actual story. DKK doesn’t have a new or very unique story but it has many factors going for it. The strong cast of Feroze Khan, Marina khan, Yumna Zaidi and Shamim Hilaly is enough to make you want to give it a shot. What we loved about the drama is that the writer has chosen to focus on a very common yet sadly, still-prevalent concept in our society; the concept of widows being treated as manhoos (unlucky). We might believe ourselves to have progressed and have become more forward thinking but unfortunately, there is still a percentage in our society who follows this mindset and won’t let go of a chance to point it out. In any case, DKK is a Mehreen Jabbar production so of course we would not expect anything less from it. The story is written by the Asma Nabeel of Khaani fame. The story of “Dil Kiya Karey” revolves around 2 cousins” Feroze and Yumna. Yumna doesn’t know this, but Feroze is in love with her. However Yumna is in love with Feroze’s best friend. *Love triangle in the making). Feroze Khan plays a serious, extremely loving and considerate person in this drama. He is so madly in love with his cousin that when he discovers Yumna is in love with someone else, he steps aside as a large-hearted gesture to sacrifice his happiness for hers. His acting skills render a solid performance and dialogue delivery is full of emotional depth. It’s a breath of fresh air to see Feroze in this character; he will make you feel his pain and you won’t be able to resist yourself from falling in love with him all over again. Marina Khan appears in a new avatar – strict, old fashioned and a superstitious eldest bahu of the family. Her tongue is as sharp as her actions. Marina Khan stays true to form and delivers a smashing performance. Despite the negative role, you will look forward to seeing her on screen. Shamim Hilaly appears in typical grandmother mode. Yumna Zaidi didn’t really win our hearts in the first few episodes but her character seems to grow on us steadily. We are hoping she will come out stronger in the upcoming episodes. The OST of the “Dil Kiya Karey” shows Yumna widowed at a very young age and we are assuming the story will unfold with Marina Khan resisting Yumna’s marriage to her son Feroze. As we said earlier and we repeat, the plot is not original, in fact, it is quite predictable, but the execution and production (kudos to Mehreen Jabbar) is such that you would want to keep watching it. Each and every character has a story and it reveals itself to you very gradually. There are no conspiracies, no scheming plots, just pure and life-like family dynamics generated by the beliefs and actions of each character. 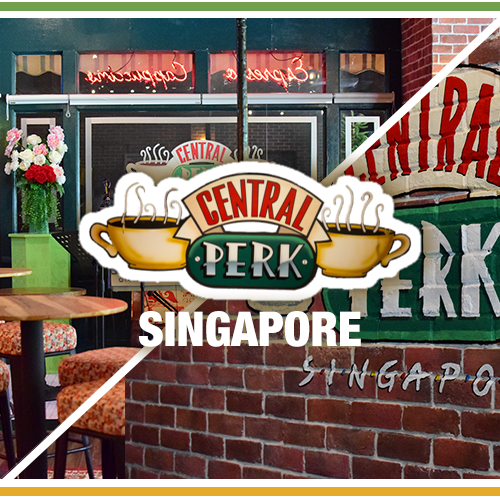 You will feel you are watching one of those much-loved TV dramas from the golden era of PTV. Another winning factor contributing to the watchability of Dil Kiya Kare is its fast pace. The OST is lovely and perfect for a romantic drive or evening. This is a must-watch in FUCHSIA’s drama list.